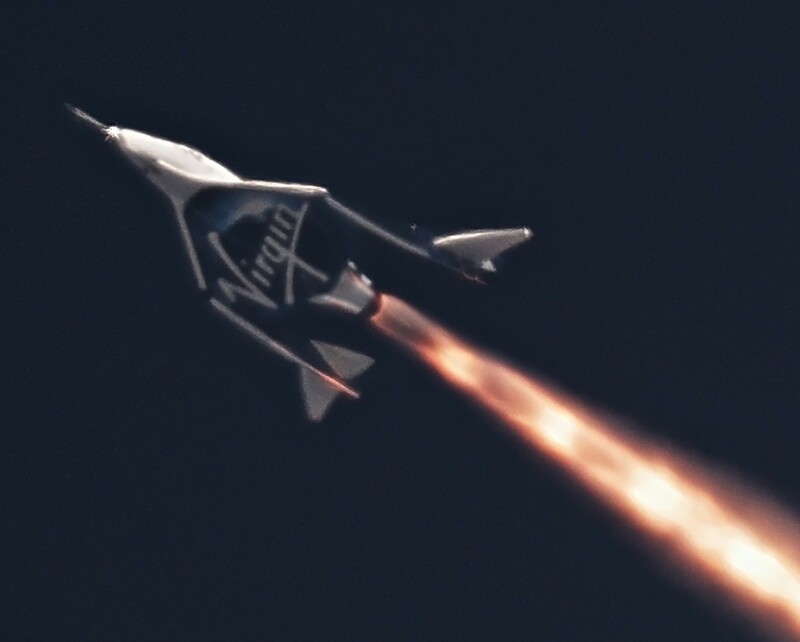 Virgin Galactic’s second SpaceShipTwo rocket plane flew a smooth, supersonic test flight today during its first rocket-powered outing since the first SpaceShipTwo broke up three and a half years ago. The craft christened VSS Unity has taken flight a dozen times since its debut in February 2016, but the previous 11 tests didn’t involve lighting up the plane’s hybrid rocket motor. That’s what made today’s flight test at California’s Mojave Air and Space Port special: After carrying the plane and its two pilots to an altitude of about 46,500 feet, Virgin Galactic’s White Knight Two mothership, known as VMS Eve, released Unity from its underbelly. Seconds later, the pilots turned on Unity’s engine for the first time.